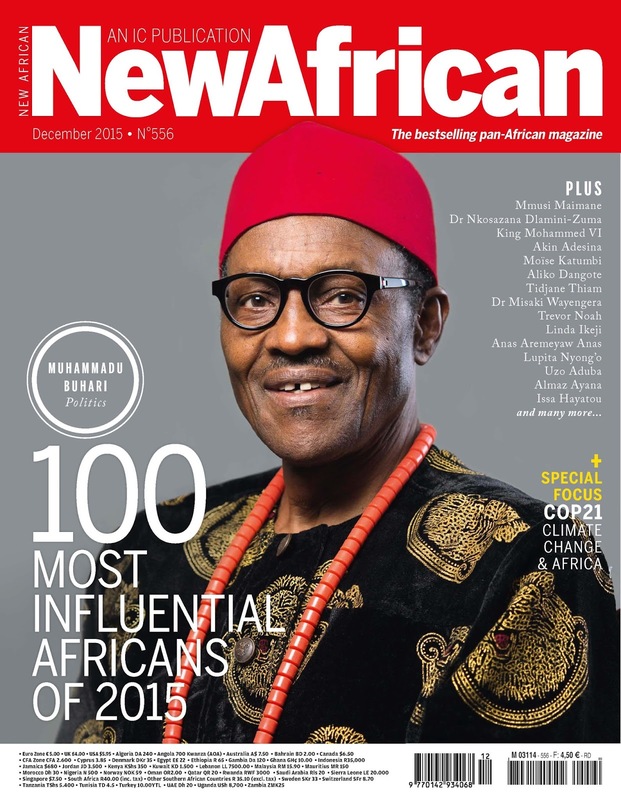 The list published by pan African magazine, “New African” presented Africa’s definitive power list and profiled the continent’s top game changers in eight different fields: politics (22); public office (4); arts and culture (21); business (21); civil society (11); technology(9); media (7); and sports (5). 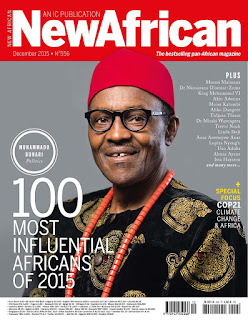 Both Buhari and Jonathan made the list for the significant role they played in Nigeria’s 2015 elections which saw the first successful transfer of power from a ruling government to an opposition party in Nigeria. Jonathan’s humility in defeat and Buhari’s magnanimity in victory ensured that Nigeria avoided a post-election crisis. Other Nigerians recognised included: the UN Special Advisor on Post Development Planning, Amina Mohammed, AfDB’s new President Akinwumi Adesina, and Nigerian Diasporan, UK MP and Labour Party leadership hopeful, Chuka Umunna as well as Arumah Oteh, who is World Bank Vice President and Treasurer. Amina Mohammed is Nigeria’s current Minister of Environment. Before her appointment, she was Special Adviser on Post-2015 Development Planning at the United Nations where she contributed to the shaping of the new 2030 Agenda for Sustainable Development across three years of complex negotiations and the most inclusive consultation process in the history of the United Nations, her vision and voice helping to bring people together, enlist new partners to the cause and reach global consensus on the Sustainable Development Goals. Adesina is Nigeria’s former Minister of Agricultural where he led a drive to curb corruption of the fertilizer distribution scheme and significant improvement in agricultural production that led to a sharp drop in food imports. Umunna was recognised for the significant positive recognition he has brought Nigerians in the UK while Oteh was recognised for her elevation to one of the most significant positions at the World Bank.